The Grammy Award for Best Contemporary Folk Album was awarded from 1987 to 2011. Until 1993 the award was known as the Grammy Award for Best Contemporary Folk Recording. In 2007, this category was renamed Best Contemporary Folk/Americana Album. As of 2010 the category was split into two categories; Best Contemporary Folk Album and Best Americana Album . An award for Best Traditional Folk Album was also presented. Prior to 1987 contemporary and traditional folk were combined as the Best Ethnic or Traditional Folk Recording. Following the 2011 Grammy Award ceremony, the award was discontinued due to a major overhaul of Grammy categories. Beginning in 2012, this category merged with the Best Traditional Folk Album category to form the new Best Folk Album category. At three wins each, Bob Dylan and Steve Earle are the category's biggest winners. The Grammy Award for Best Zydeco or Cajun Music Album was an honor presented to recording artists at the 50th, 51st, 52nd and 53rd Annual Grammy Awards (2008–2011) for quality zydeco or cajun music albums. 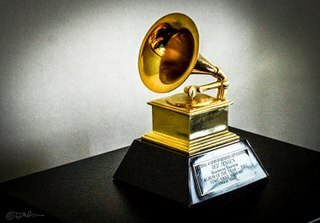 The Grammy Awards, an annual ceremony that was established in 1958 and originally called the Gramophone Awards, are presented by the National Academy of Recording Arts and Sciences of the United States to "honor artistic achievement, technical proficiency and overall excellence in the recording industry, without regard to album sales or chart position". The Grammy Award for Best American Roots Song is a new award category at the annual Grammy Awards, a ceremony that was established in 1958 and originally called the Gramophone Awards, to recording artists for quality songs in the American Roots Music genres such as blues, bluegrass, folk, Americana and regional roots music. Honors in several categories are presented at the ceremony annually by the National Academy of Recording Arts and Sciences of the United States to "honor artistic achievement, technical proficiency and overall excellence in the recording industry, without regard to album sales or chart position".